September Newsletter 2018 – Grade 1! I would like to welcome you and your child to our Grade One class. I am excited about getting to know you all. At the beginning of each month I will post a newsletter and calendar on our class blog that outlines thing to look forward to over the month (i.e. fieldtrips, special visitors or important dates to know). The blog is at http://twilliamsonaz.edublogs.org/. There will often be updates throughout the month, as well. This year ERS Grade one and two students will be using a cloth bag as their Mailbox/Home Reading. Please check this bag each night and send it back every day. I will put your child’s work and letters inside of it. If you have a note or book order for me, just put it in the bag and I will read it when your child comes to school. Please have your child bring their labeled indoor running shoes as soon as possible. This will help keep the school clean (only non-marking soles, please). All Grade One classes will be entering and exiting the school from the east end of the school . For the first week or so I will be walking students down to the boot room and helping them to find their bus or meet-up with parents. 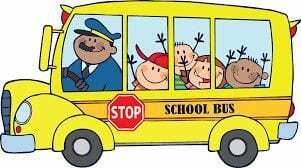 During the year, if your child usually rides the bus home and other arrangements have been made, please inform both the bus driver and me. (You can call the transportation office at 678-5545.) Similarly, if someone other than you is picking up your child, please let me know by writing a note. It is the parents’ responsibility to inform the teacher of changes and about anyone who is not allowed to pick up their children. Please let me know. Every morning we will be sitting down to have snack before recess. (This will not be provided by the school snack program until October). Please send in a healthy snack in a plastic container for any leftovers. I prefer that the children do not drink juice for snack (very sticky and messy to clean up, and helps prevent any backpack leaks), but instead we will be using water bottles that the children may drink out of anytime they are thirsty. The bottles should come home every week to be cleaned. Milk order forms will be sent home next week and delivery should begin in October. Every day will be going outside so please ensure that your child always has proper clothing to suit the weather. To assist your child in the task of keeping track of their belongings, we strongly recommend labeling everything that comes to school (clothing/shoes/boots). Lost items can be found in our Lost and Found box near the front door. I hope this answers some questions you may have had. If you have any more questions or concerns you can come and see me after class and I can always be reached by e-mail theresa.williamson@crps.ca. I look forward to seeing you all at Open House!